The Illegal Alien Amnesty Bill of 2007 is dead for now. However, I suspect that it will rise again to haunt us, just like the old Hollywood vampires in the movies. Or Hillary Clinton. Take your pick. 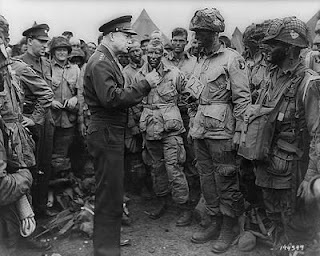 Today, we remember the men who landed in France on June 6, 1944. 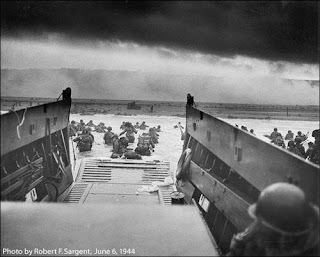 I can't imagine what it must have been like to be one of those men on that "Day of days". I'm awed by what they did. And now, I'm off to watch The Longest Day. Could It Be? Jericho Saved!? As the lovely author notes (Hey, check the pic if you don't believe me. ), this is not a done deal. And I suspect that they had better wrap it up in the 8 episodes, or come up with some serious ratings. But still, it's good news for those of us who enjoyed the show. Yeah I know it wasn't realistic. So? It was entertaining, and it actually opened people's eyes just a bit. Double points. Shame we've never been so successful with Firefly. Sure, we got a movie, and that was a big thing, but I wanted much, much more. Yes, I'm greedy that way. Even if I haven't felt like posting, I have been keeping up with "things", and the one that has both held my attention and pissed me off in more ways than one is the POS immigration "reform" bill that President Bush and a select group of traitorous politicians tried to ram through Congress. Luckily, they've failed, at least for the time being. Of course after the recess, they'll be back, trying it again. While they're gone, our President has decided to take up the task of selling us this bill--of goods. He sure does have a lot to learn about salesmanship, though. He's telling us that we "don't want to do what's right for America." Really, Mr. President? That by opposing amnesty to 20 million illegals (Notice how the media-reported number is slowly rising? They've figured out that the country isn't buying their BS.) we're some how doing something wrong? Oh, wait--we can't use the word "amnesty", either. Our President says that is a term that opponents of the bill are using to "scare" people. Gee, I hope I didn't scare any of you. Peggy Noonan has remarked that the President is both squandering his remaining political capital (He had some left?) and ripping at the guts of the Republican Party. I hate to say this to a lady as smart as she is, but I have to ask--"What was your first clue, Sparky?" Was it the flood of anecdotal reports of Republicans changing their voter registration to Independent? Or maybe it was this Washington Times article reporting that contributions to the RNC from their small donors have dropped off the map? The President and the other supporters of this astounding bad piece of legislation need to catch a clue--the vast majority of the American people are screaming "NO!" at the top of their lungs. We want to see the borders closed, and the illegals out. Then we can talk about "fixing" our immigrations laws. Oh, but I forgot--we can't just send them all home. It won't work. Yeah, and I'm the Czar of all the Russians.